I love the detailing on this dress. And the shoes she has on are a perfect compliment to the dress. A definitely must have! I know I'm late to the colorblocking party, but I'm really loving it on these dresses!! 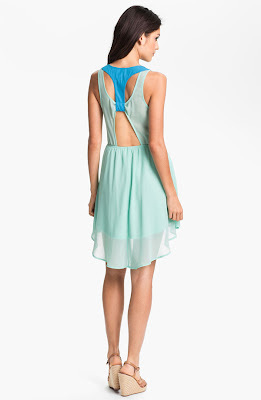 They have this in navy & I love it! !